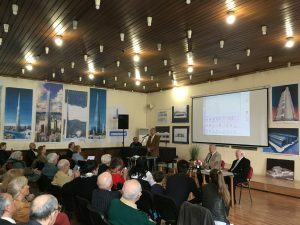 On 3rd of April 2019 at the Central House of the Architects in Sofia was held the celebration of the 90th Anniversary and the inauguration of the solo exhibition of the Honorary President and Founder of the International Academy of Architecture – Acad. Georgi Stoilov. 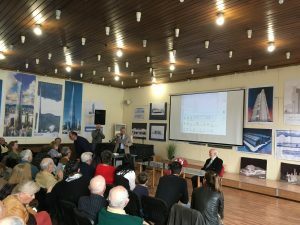 Special congratulations on the occasion of his birthday Mr. Stoilov received from the President of the Republic of Bulgaria – Rumen Radev, the Mayor of Sofia Municipality – Mrs. Yordanka Fandakova, the President of the International Academy of Architecture (IAA) – Acad. 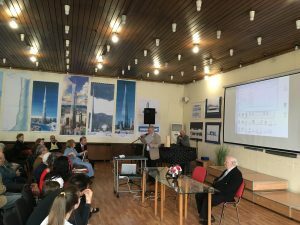 Amedeo Schiattarella, the President of the Russian Branch of the International Academy of Architecture (IAAM) – Acad. 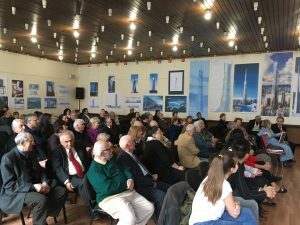 Andrey Bokov, many Academicians and Professors from the IAA and IAAM, the President of the International Union of Architects (UIA) – Acad. 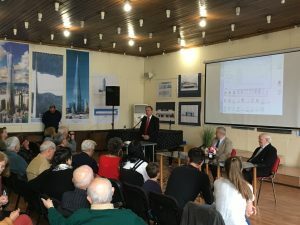 Thomas Vonier, the Chairman of the Union of Architects in Bulgaria (UAB) – Mr. Georgi Bakalov and many other distinguished figures in the field of architecture. 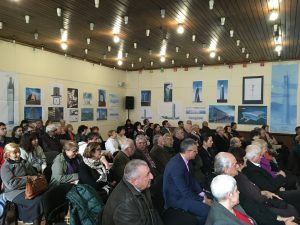 During the event Prof. Atanas Kovachev made an inspirational speech devoted to the professional dedication of Georgi Stoilov and his contribution to the Bulgarian and world contemporary architecture. 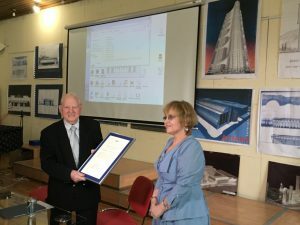 Mrs. Istelianna Atanassova – UIA Council Member – officially awarded a Proclamation from the International Union of Architects expressing admiration, gratitude and warmest congratulations to Mr. Stoilov. 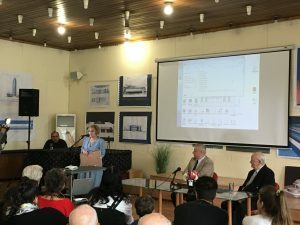 Among the other speakers were many colleagues and friends of the Honorary President who wished him good health and future creative success.